Stay tuned for upcoming events for Eye Of The Emirates Wheel in near future. In the event that you need to find one of Al Qasba's best attractions, simply turn upward! At 60 meters, the lofty Eye Of The Emirates Wheel is the most obvious historic point in Al Qasba. 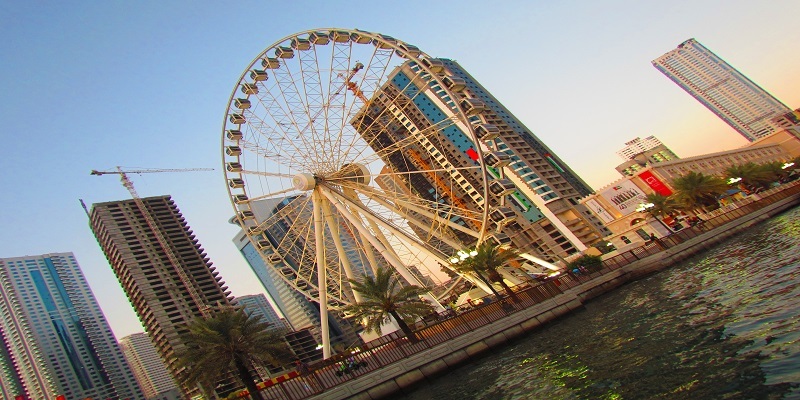 Venture on board one of the wheel's ventilated lodges and you'll be lifted high into the sky above Sharjah. From that point, you can appreciate dynamite perspectives of milestone structures, view, and even the Gulf coast extending the distance to Dubai. Best Viewed at 1024 x 768 pixels and above. This Page loaded in 0.08712 seconds on Fri, Apr 19, 2019 (07:20).